Toronto Raptors head coach Dwane Casey won the NBA Coaches Association Coach of the Year award—an award voted on by NBA coaches—according to Marc Stein of the New York Times. 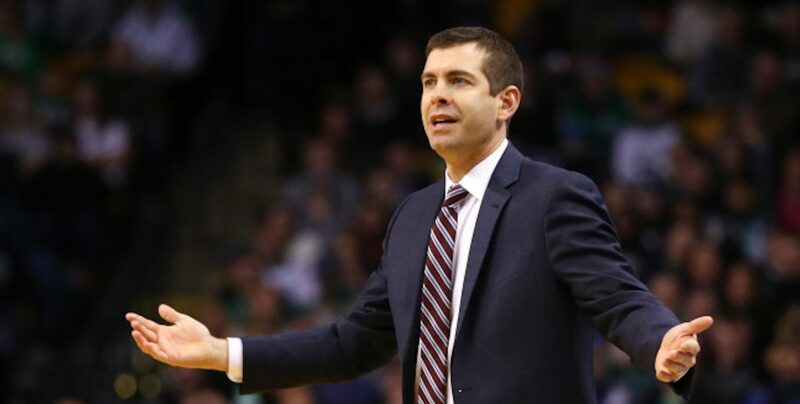 For many, it was shocking to see anyone besides Bostons’ head coach Brad Stevens as the winner. If there’s a group of people who should understand the weight of what Stevens was able to pull off this year, it should be his peers. However, Stevens was not only snubbed from winning the award—he didn’t receive a single vote. The coaches that did get at least one vote apart from Casey, were Doc Rivers, Brett Brown, Mike D’Antoni, Nate McMillan, Gregg Popovich, Terry Stotts, and Quin Snyder. I’ve always thought it was no secret that Stevens had by far the most impressive resume and was doing some incredible things while the basketball god’s seemed to do everything in their power to make his situation worse. Perhaps NBA coaches should take a look at everything the 41-year-old coaching sensation has accomplished. If anyone can explain how that isn’t worthy of votes—yet a coach in Doc Rivers who failed to even make the postseason is—I’m open to being informed. The other coaches on the list weren’t a shock to receive votes but still didn’t have the same list of achievements as Stevens. Even former Celtics guard Isaiah Thomas took to Twitter to argue for his former coach. Hopefully, the media will get the actual award correct, and choose the most deserving candidate for the official Coach of the Year award. One comment on "Corey: Stevens Snubbed for Coaches Coach of the Year Award"